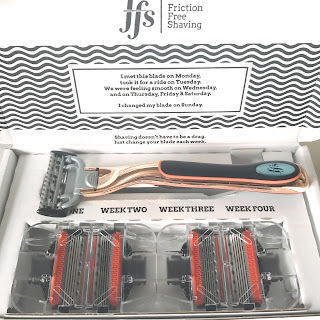 Friction Free Shaving is probably one of the best monthly subscription ideas I have come across. Every month, they deliver your four blades to use that month, making sure you are changing your blade on a weekly basis. 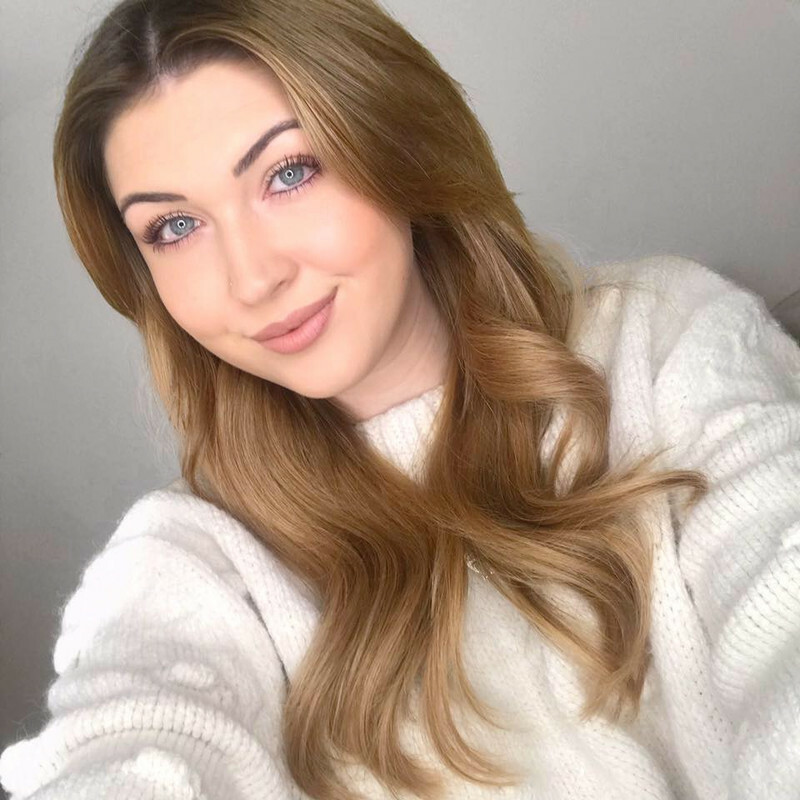 I didn't realise how important this actually was, and I used to change my razor probably once a month, maybe even longer. 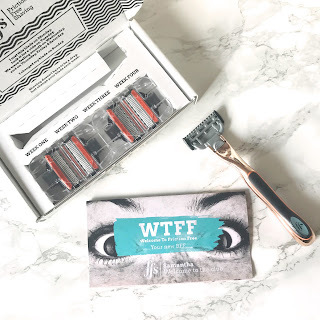 I used to come out in a rash every time I shaved my legs and they would be itchy and sore too, I didn't even think about the fact it could actually be that I was over-using my razor blades. 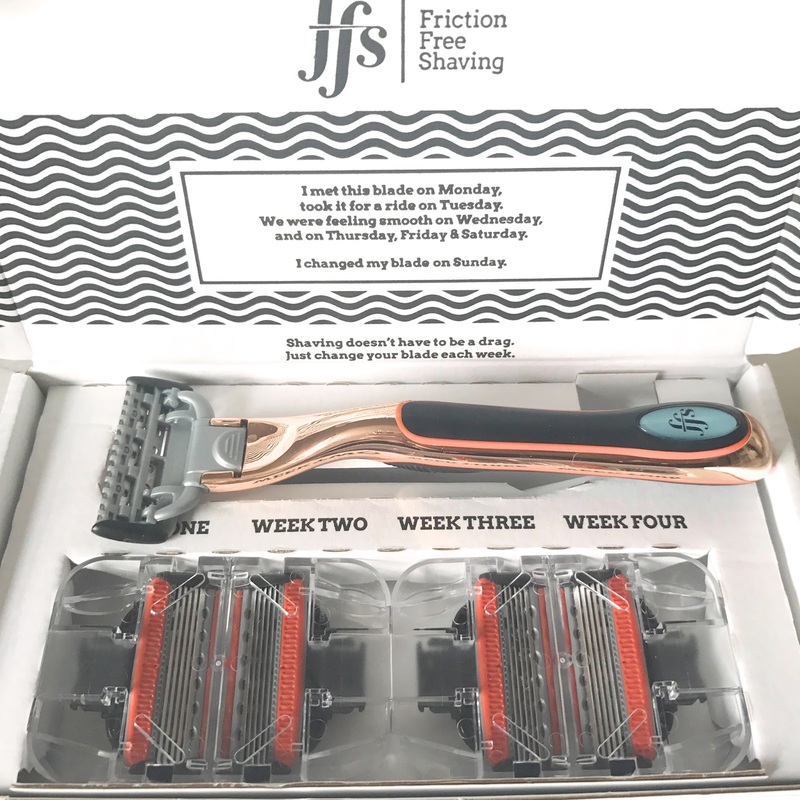 There are three different razors to choose from when you first sign up, starting at £5 and going up to £7. Of course, I chose the rose gold one. I love Friction Free's branding and they have a really cool way of presenting themselves. Such as the Craig David inspired song on the inside of the box and the "FFS" name. I think it is a really clever idea and they have done it in a really unique way. 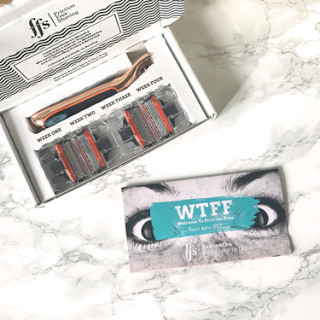 They have recently bought out a shaving cream too that makes your hairs stand on end so you can get a closer shave making your legs super soft, you can choose to add this to your subscription too! You can choose to cancel your subscription at any time or make it less frequent, so if you haven't used all of your blades for the month you are not stuck in the subscription. Let me know if you sign up and see a difference in your skin like me!